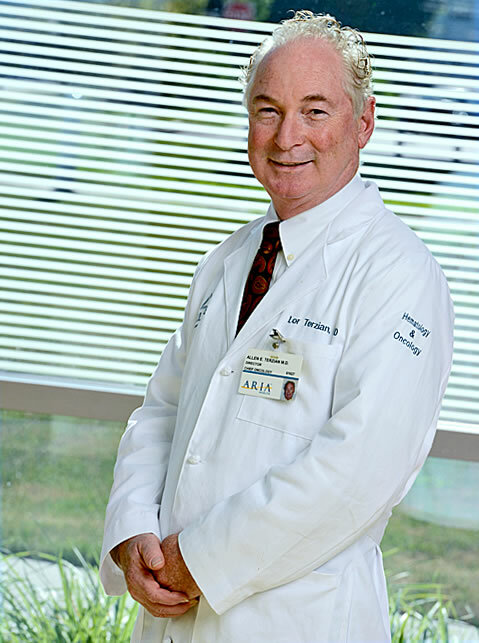 Allen E. Lord Terzian, M.D. completed his fellowship in Hematology and Oncology at Hahnemann University. Dr. Terzian attended Hahnemann Medical School from 1978-1982 where he graduated with honors. He also completed his internship and residency at Hahnemann in 1988. Dr. Terzian is Chief of the Division of Hematology and Oncology and Medical Director of The Cancer Center at Jefferson Hospitals, where he was formerly President of the Medical Staff. He is also on the Board of Directors for Jefferson Hospitals. Dr. Terzian is the President of Alliance Cancer Specialists, PC. Dr. Allen Terzian has been chosen by his peers in the 2013, 201Aria4, 2015, 2016, and 2017 Philadelphia Magazine’s Top Doc List. The list includes the Philadelphia region’s best physicians.